At the beginnings of the 1990s, young Estonians came in thousands to the European meetings and to Taizé. At the time of independence, there was a great interest for faith. The situation has changed since then, but it is as if people are once again starting to realise that "although communication is becoming easier and easier, our human societies remain compartmentalized and fragmented," as it says in the Letter 2012 and there is a need to seek again how to build paths of trust. 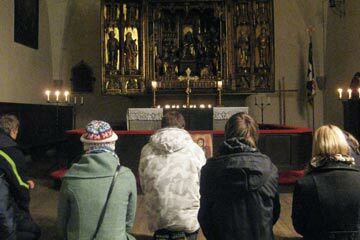 A choir of young people stayed to lead the prayer in Pärnu after their weekly practise. What a joy to start the visit being welcomed by singing youth! 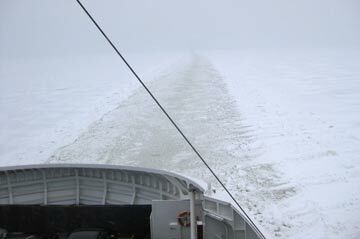 Singing has played such an important role in the history of Estonia. And now song enables some to find a way of expressing faith. In Tartu, it’s amazing to see the renewal in church life. The city with its famous university was particularly hit during the Soviet times. Very few churches remained open. Now, the historical St John’s church has been rebuilt and serves the university, St Paul’s is being renovated, St Mary’s has at last been returned to its congregation and St Peter’s has a new tower. The Catholic Church has an active parish and a well attended school. 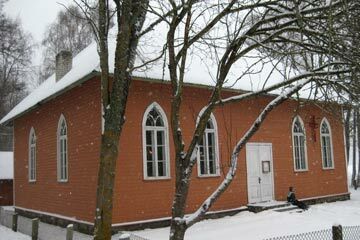 The Estonian Orthodox, Methodist and Baptist Churches are also thriving. We prayed in a basement room in St Paul’s church - a prayer using songs from Taizé has been running there since 6 years on a weekly basis without interruption - next to the rooms where daily food is given to people who live on the streets or in great poverty. The church has a very strong tradition of "diaconia" - the care of the poor and excluded. The prayer was very fervent: the intercessions a pillar of fire for the local community. In Tallinn, the Lutheran Church has opened its first parish since independence. It is in the suburb of Mustamäe, where most of the housing blocks were built during the Soviet period. There is no church building yet, but the parish of St Mary Magdalene meets in the basement of the borough council building. "Like Mary Magdalene who, on Easter morning, saw Christ alive, we are called to share this good news with others" - the parish lives these words from the Letter 2012. A space for prayer, with an altar and candles, is well arranged. Our worship gathered 70 people from all kinds of backgrounds. A real parable of community. On the island of Hiiumaa, the Baptist church was always very active. Listening to the 80 year old pastor who welcomed us in Nurste helped us understand how much faithfulness allows God to build kindness in the human heart. Living through the events of 1940 and then the second Soviet invasion in 1942 marks lives. But the pastor bore witness to how faith in Christ shows us that the "response to personal trials, and to those which other people endure, is to love still more." The prayer house in Nurste is the largest on the island. Despite the freezing temperatures, a fire was burning to warm not only our bodies, but our hearts as well. giving their time and energy to prepare ways of trust for others.